-Frasier-. Pictures From the TV show "Frasier". Wallpaper and background images in the Frasier club tagged: frasier niles crane daphne moon kelsey grammer roz doyle martin crane david hyde pierce jane leeves. 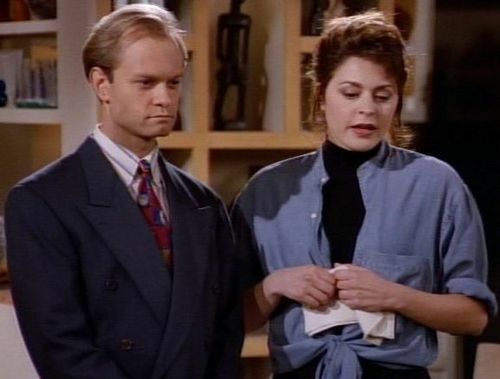 This Frasier photo contains 신사복 and 비즈니스 정장. There might also be 옷 한 벌, 한 벌, 옷, 양복, and 정장.